Information is an asset for all types of businesses. IT organizations realise its value, and therefore, collect information from all possible sources. Despite collecting such huge volumes of information, many of them fail to leverage data to their competitive advantage, due to various challenges such as data accuracy and external threats. Cloud technologies, Cloud Analytics, are helping organizations to overcome these challenges by offering opportunities to use big data and analytics together to make better and data-driven decisions. It offers various other benefits, some of which we will discuss in this blog post. Let’s have a look. Cloud analytics plays an important role in helping organizations to make business decisions. Its tools help them to identify and catch faults and weak points in their business operations. It also helps them to track investments, map expenditures, and identify potential saving avenues. On-premise analytics platforms require large investments in infrastructure, a team of IT professionals, regular maintenance, repairs, or periodic upgrades. All these things not only demand a lot of money, but also delays deployment time and disrupts business operations. Cloud-based analytics platforms, on the other hand, are always up-to-date wand do not make your business suffer due to upgradation or downtime. 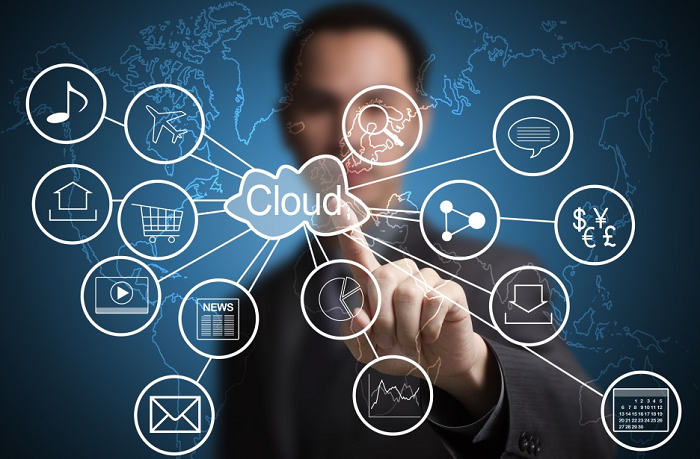 Cloud applications store all your data on off-site locations, which ensures data security from theft, natural disasters, fire, and other such accidents. The cloud services providers also take various security measures such as keeping their servers free from malware and other computer viruses, to minimize external risks. Organizations may need to scale their server requirements to suit their ever-changing business requirements. In on-premise platforms or infrastructure making such quick arrangements is difficult, whereas cloud services gives organizations the liberty to save their costs by scaling the services as per the changing requirements. Cloud technology has made easier for organizations to interact with their customers and vice versa. Your customers can now get in touch with you or access to any kind of information through dedicated applications and websites. Leveraging cloud analytics allows you to interpret customer data collected from multiple touch points, to generate actionable information. Cloud analytics services allow organizations to collect, access, store, and analyze data from multiple sources and use it to their advantage. Without cloud services and platforms all of this would be too much time-consuming and costly. It is, therefore, essential for IT organizations to embrace cloud services unless the aim is to close the shop anytime soon! Cloud services not only translate into smooth business operations, but also ensure that you get all the benefits we have discussed in this post. To learn more about our enterprise Cloud Hosting solutions, call us at +91-120-466 3031, and our representatives will contact you, shortly.